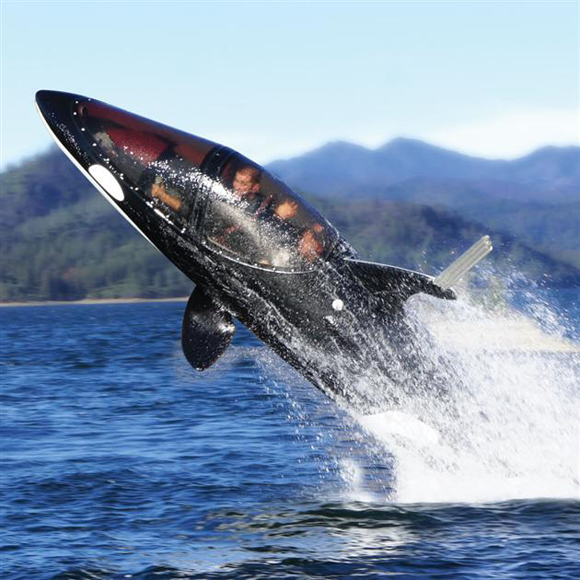 If you have $100,000 burning a hole in your back pocket and don’t know what to spend it on, then I suggest having a look at the Killer Whale Submarine. The killer whale inspired Seabrecher Y is the latest watercraft to join the Seabreacher fleet. The new model incorporates design features that give the appearance of a real whale; including a more rounded off nose, large whale tail, new pectoral fins, and a taller dorsal fin. 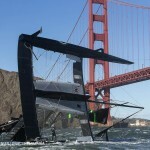 The larger modified tail fin was added to help in achieving a full 180 degree back flip, which continues to be a goal for Innespace. The Seabreacher Y comes standard with the same 255hp supercharged engine that is found in other models and offers the same high performance capabilities, but is equipped with the panoramic bubble top canopy. The killer whale model is ideal for putting on live shows and attractions due to its life like resemblance of a real orca. Innespace now even offers riding pegs and a handlebar attachment to allow for a stunt man to ride on the back and perform tricks. The fuselage of the sub is a composite monocoque with collapsible nose section and break away wing tips, the hull contains enough flotation to remain buoyant even when fully flooded. The pilot is protected beneath its watertight 1/2″-thick acrylic canopy, the whale is controlled by twin control levers which articulate the whale’s pectoral fins for rolls and stealthy dives. Steering is provided by dual foot pedals that control the vectored thrust of the craft’s 255-hp supercharged Rotax axial flow engine, enabling realistic behaviors such as porpoising or skyhopping. It can hydroplane up to 50 mph over the water’s surface and it can cruise up to 25 mph while submerged; its dorsal fin’s integrated snorkel ensures air supply to the engine up to a depth of 5′. The cockpit’s dashboard includes a speedometer, tachometer, engine and air pressure gauges, and a LCD that displays live video from the dorsal fin’s built-in camera. Vinyl seats with closed-cell foam upholstery and four-point racing harnesses ensure pilot and passenger safety.